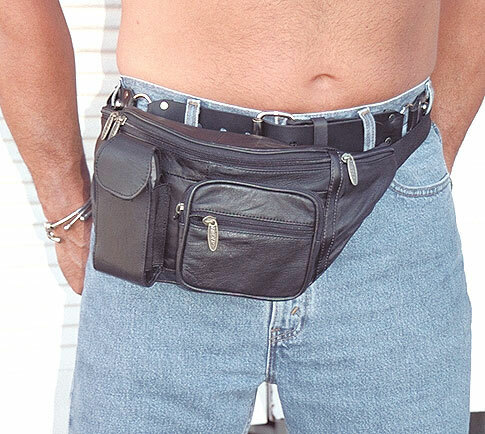 So for years now I’ve been waiting for the fanny pack to come back, and it’s just not. I get that people make fun of it on a regular basis and pretty much everywhere in the US its an unacceptable thing to wear, and in London its even an unacceptable word to say (in public), but what I don’t get is WHY?! I mean seriously, its a hands free bag that has different compartments for all of your equipment and to top it all off, its strapped to your body. Its a no-brainer…Maybe I just feel this way because I’m forgetful and basically loose my phone, keys, credit card, chapstick and pretty much everything else the second that it leaves my hands…and that’s when I’m sober…when I’m drinking-forget it! By bringing the pack back, you’ll have no more digging through your overnight-bag-sized-purse looking for your phone, no more trying to remember where you put your purse down, and ultimately, no more worries about your purse or any of its contents getting lost or stolen. With the fanny back, its pretty much impossible. I’ve been thinking about this for quite some time now, but was sparked to write about it when I saw a woman at the Santa Barbara airport with a fanny pack…now lets just ignore the fact that shes also wearing a jean vest and focus on what’s important here. With both hands free, she is able to do whatever she wants, and she doesnt even have to worry about her goods! The last time I had a fanny pack, I was a little kid…maybe 4 or 5. I remember I was on vacation with my family and in this parking lot I found a Monarch Butterfly. It was dead, so I decided that it would be awesome to bring it home as a souvenir, so I put it into my fanny pack. Later that day, I tried to open my pack so I could show my ma my sweet find, but unfortunately the butterfly’s wings got all caught up in the fanny pack zipper and unfortunately my day ended with no butterfly and no fanny pack. My mom made me throw it away…it was a dark day in the world of Erin. Posted on October 4, 2011, in Fanny Packs, This is Me!. Bookmark the permalink. 3 Comments. LOL! This is a hilarious blog posting, I’m sorry for the loss of your fanny pack =/ but unless they start making them look REALLY cool, I will not be hoping on this train… maybe a cute hippie patchwork fanny pack?! Sorry erin but I will NEVER use a fanny pack! !